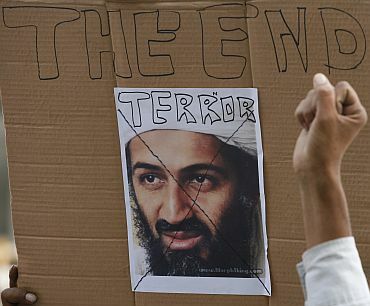 In the wake of the United States covert operation by an elite squad of the Navy SEALs that killed Al Qaeda lynchpin Osama bin Laden, Richard N Haass, president of the influential Council on Foreign Relations, said it's d j vu once again vis- -vis US-Pakistan relations, reminiscent of the 'moment of truth' in the immediate aftermath of 9/11. Haass was director of policy planning at the State Department from 2001 to 2003, during which time he was also principal adviser to then secretary of state Colin Powell. "I am reminded of the conversations we had with the Pakistani government after 9/11 at the time I was in the State Department," Haass told rediff.com. "The US did have something of a moment of truth, and essentially said you (Pakistan) are going to have to fundamentally change your relationship with the Taliban or you will end up with a fundamentally changed relationship with us. And the Pakistanis essentially said, we are prepared to change our relationship with the Taliban. And what we've seen over the last decade is some elements of progress, but also considerable elements of backsliding." In the current context, with Osama bin Laden living practically next door to Pakistan's prestigious Kakul Military Academy, Haass said, "The fact that you had this kind of what appears to be a willingness to look the other way at a minimum, in some ways you will end up with another moment of truth with US-Pakistani relations." He acknowledged: "It will be very hard to justify aid flows that are generous to certain parts of the Pakistani government. This will raise some important questions for the overall relationship." Haass, who from 1989 to 1993 was special assistant to then President George H W Bush and senior director for Near East and South Asian Affairs in the National Security Council, said, "Essentially, the Pakistanis have a choice. 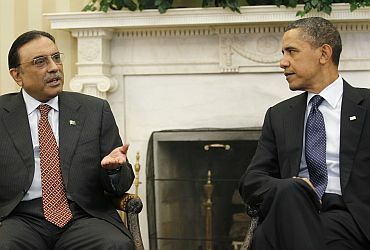 They either increase their willingness and ability to act as a partner against terrorist groups or they have to accept the reality that the US will view Pakistan as a sovereign government unable or unwilling to meet its sovereign obligations under international law to make sure that its territory is not exploited by terrorists. And that outsiders like the US will then act independently when they see their national interests at stake and threatened." So, he added, "The decision is theirs." Otherwise, "American tolerance for what you might call Pakistani hedging or having it both ways to be what you might call a limited partner, you are going to see American tolerance for that dry up." 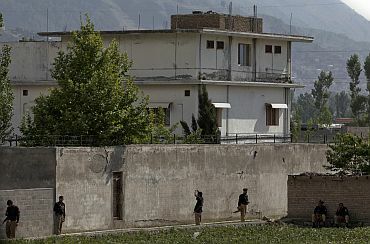 Gideon Rose, editor of the CFR's flagship publication, Foreign Affairs, told rediff.com that he found the claims by the Pakistani intelligence -- that it wasn't aware that bin Laden was holed up in their backyard -- incomprehensible. Rose said he would be shocked if he found "that there wasn't some tacit help provided to bin Laden in keeping himself quiet by the Pakistani security and military services. We all know that, of course." He continued: "The real question at the end is what Richard said: This is going to bolster the American public and American national security establishment's view about the value of counter-terrorist operations. And so, whatever Pakistan may think, as Richard said, they will have the choice of either helping to do this with their cooperation or have it be done without their cooperation." 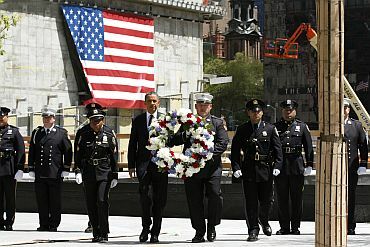 Rose said the painstaking tracking and ultimate elimination of bin Laden "demonstrates that we can go out and find you and get you. And the American public will want to see this kind of thing being done whenever and wherever there are threats to American national security that can indeed be eliminated in this way." So, he added, "In some ways, the American and Pakistani relations are heading for a very bad stretch. They've already been in a very bad stretch and it's hard to see how they can get worse, but they might well." Both Haass and Rose acknowledged that bin Laden living so close to Pakistan's equivalent of West Point in the affluent, garrison town of Abbottabad was the kind of hard proof that vindicated Pakistan's critics who maintained that Islamabad was playing a double-game with the US. It puts Pakistan in a terribly difficult position For Pakistan, Haass said. "Either some people in the government knew about some of these things, in which case they are to a degree complicit, or they didn't know about these things, in which case, they are extraordinarily unaware of what is going on in their backyard," he said. "Neither one of those conclusions is a reassuring one to begin with There is a degree of humiliation here over the fact that one, this was going on, and two, the US acted independently. 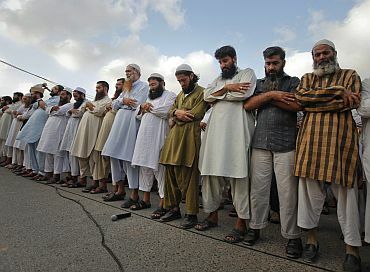 You begin with the reality that anti-Americanism in Pakistan is quite powerful and this will do nothing to diminish it." He said he did not "see signs that Pakistan is willing to give up its historic involvement with terrorist groups. It has been something of a strategic instrument for Pakistan, certainly in regard to its relations with India and vis- -vis Kashmir or Afghanistan." In the past, Haass added, "Whenever we've had these kinds of 'moments of truth' with Pakistan, any resolution has been both temporary and incomplete. And I've been involved in several, whether it was the post-9/11 one or when the US was no longer able to certify that Pakistan did not possess a nuclear explosive device under the Pressler Amendment and so forth. So, if history is any guide, the shakeout from this will be both temporary and incomplete - that this will be awkward, this will add to the narrative that each side has as to the imperfection, shall we way, in this bilateral relationship." Haass said, "There will be some change in what the Pakistanis say and what the Pakistanis do, but I don't think at the end of the day, you are going to get to the point where we have a fully functioning working relationship where there is a deep degree of either trust or cooperation. This has been, is, and will remain, one of the most fraught, complicated and difficult bilateral relationships literally that exists in the world today." "This will be, at best, a relationship that will have selective areas of limited cooperation, will have areas where we simply don't confide in each other or we don't work with each other and there might be areas where we actually work against one another. And, my hunch is that will continue. This will be almost a relationship with multiple personalities," he added. "And, what makes it even more complicated is that when you deal with Pakistan, you are not dealing with a single entity. You are dealing with obviously an intelligence agency, the military, various civilians and so forth. So, it's very hard to fashion or carry out a single relationship simply because it's not a government in the traditional single sense, where you know where authority is. So, my hunch is you don't have a total breakdown. You have areas of again of growing friction and you have areas or probably some limited cooperation." He added: "All things being equal, it becomes more not less difficult moving forward."